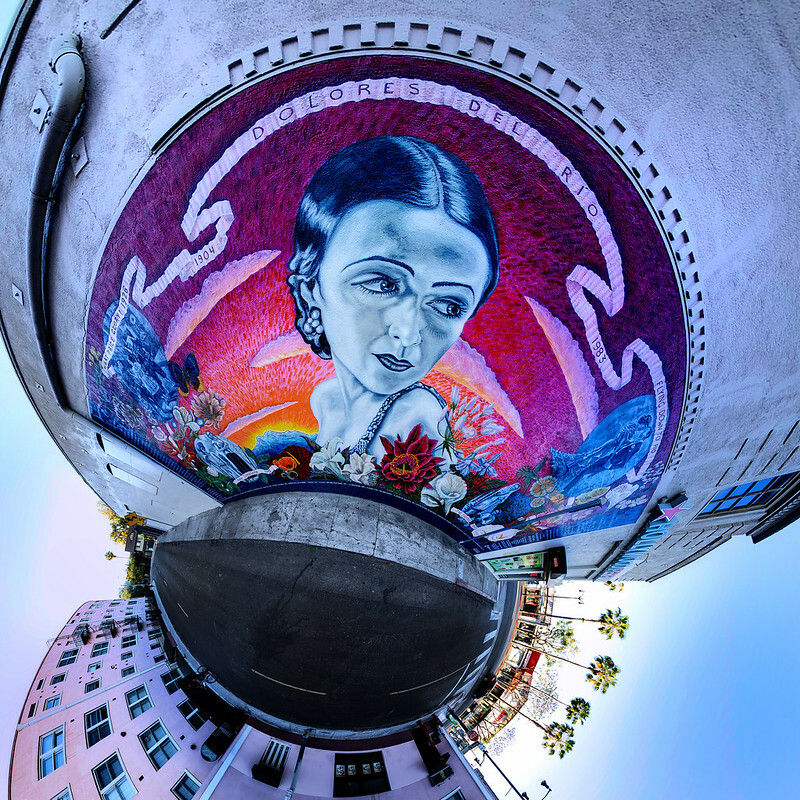 “Dolores Del Río” is part of SPARC’s Neighborhood Pride Mural program, whose intent is to create and represent the various cultural identities throughout Los Angeles neighborhoods. While it may not be a stretch to fathom how a 1920s movie star can be representative of Hollywood, the significance of the mural lies much deeper than the glitz and glam of the city. “In [the] Hollywood film industry, white supremacy is very mainstream,” de Batuc says. So when de Batuc responded to the call for artists for the Neighborhood Pride Program, he knew “that the subject matter was going to be Mexican—not necessarily about Mexican culture but about someone who was Mexican and contributed or was a prominent member of the Hollywood establishment in the past.” “That’s why I chose Dolores Del Río, de Batuc continues. 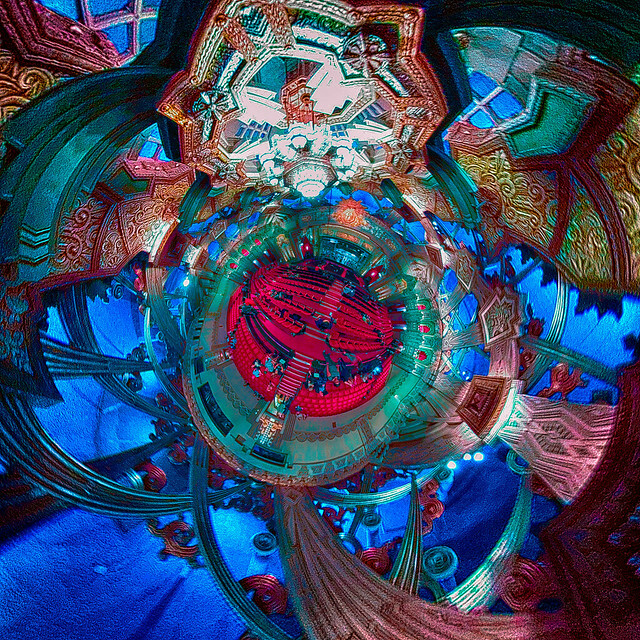 Little planet stereographic projection of the Pantages Theatre auditorium in Hollywood located at Hollywood Blvd and Vine St. The Pantages opened on June 4, 1930 and was designed by architect B. Marcus Priteca. It was the last theater built by the vaudeville impresario Alexander Pantages. Cooling off on a hot summer’s day in the courtyard fountain at Hollywood & Highland. 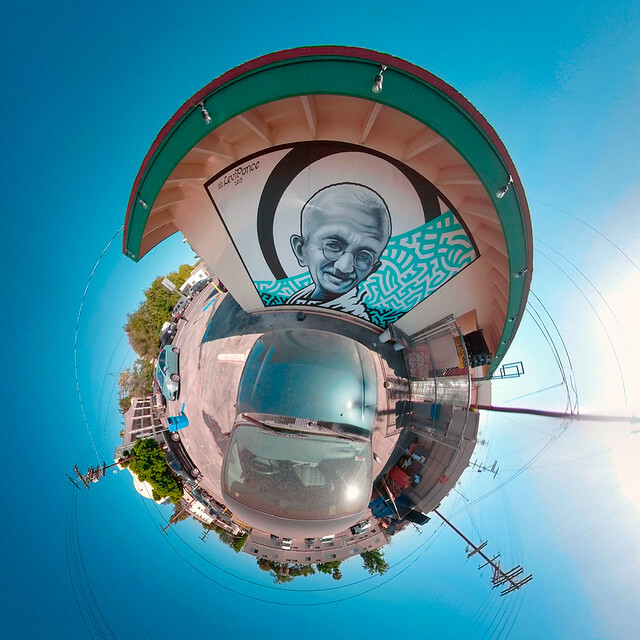 Testing GoPro Fusion. Settings: ISO 400, JPG, Protune. Adjustments: leveled in Fusion Studio. Vibrance and curves adjustment in Photoshop. 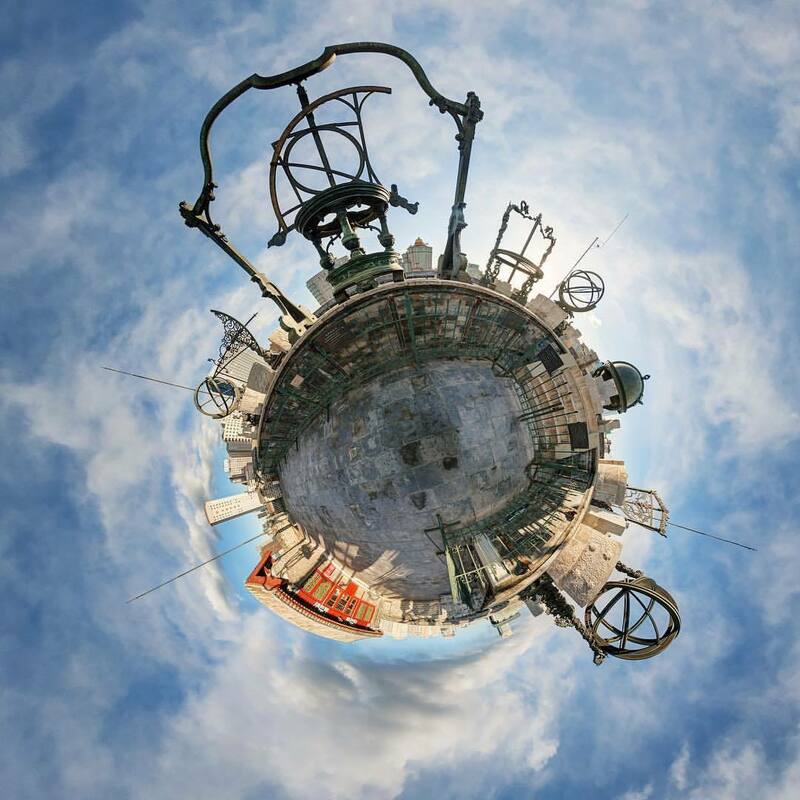 Kazuhiro Kageyama is one of the earliest panoramic photographers from Japan who shot with film back in the day. Held up for the camera is a large panoramic poster for a JR Fukushima advertising campaign from 2001, showing trains from all over the country. In the late 90s my father went to Japan to work as an art director for Universal Studios Japan located in Osaka. 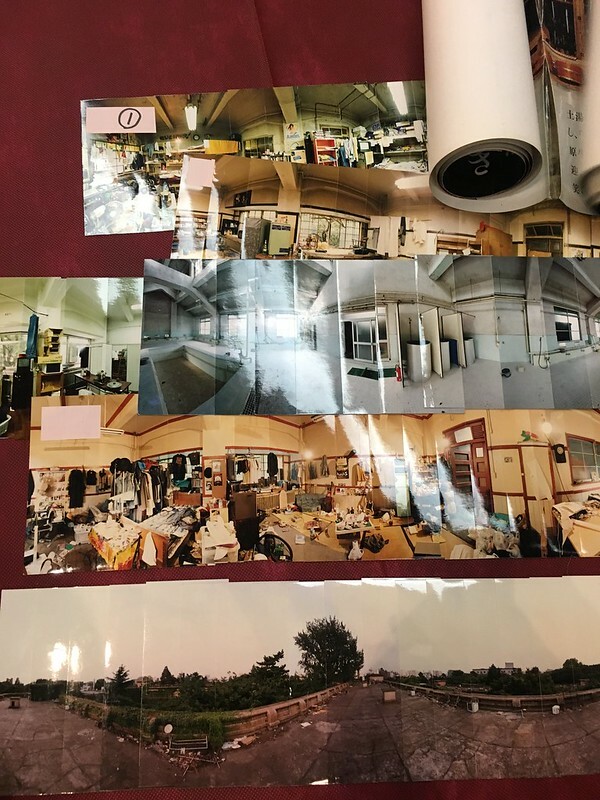 He taped several photos together of the project as it came together into different stages of development with Scotch tape. He said he learned to do it from the Japanese team. 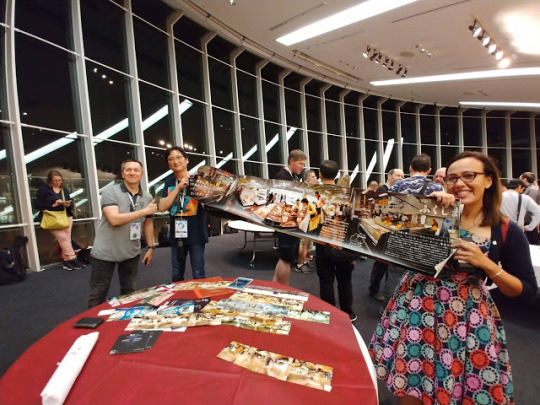 Well, if you look down on the table in this picture, Kazuhiro has several panoramas taped together from the 90s with Scotch tape! Hidden in a remote stretch of the Mojave Desert east of Barstow, Mitchell Caverns are the only limestone caves in the California State Park system. After being closed for nearly seven years due to major infrastructure upgrades, Mitchell Caverns reopened in November 2017. I went this past weekend and it was amazing! There were spectacular and intricate limestone formations including stalagmites, stalactites, helictites, lily pads, draperies, curtains and cave coral. LPT: Reservations are required so don’t just show up and expect to get a tour. They’re limited to Friday through Sunday, 2x’s each day with only 15 people each. Also, no tripods are permitted to protect these fragile formations so the Ricoh Theta was the perfect solution. 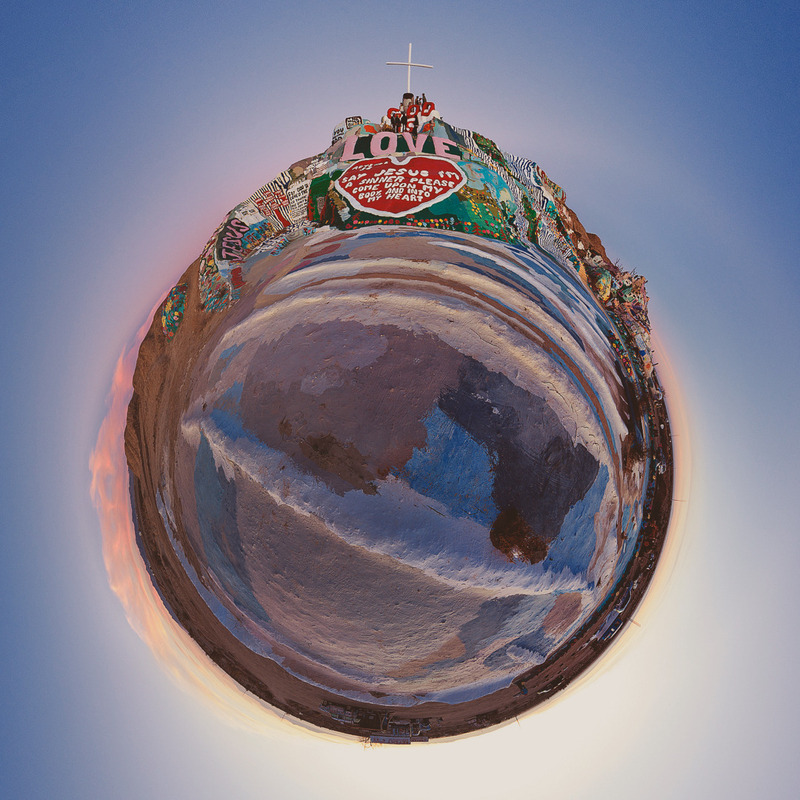 Check out more 360 photos of Mitchell Caverns on Google Maps here. The free exhibit will open at Goya Studios on March 30, 2018 and remain on view through April 1, 2018. 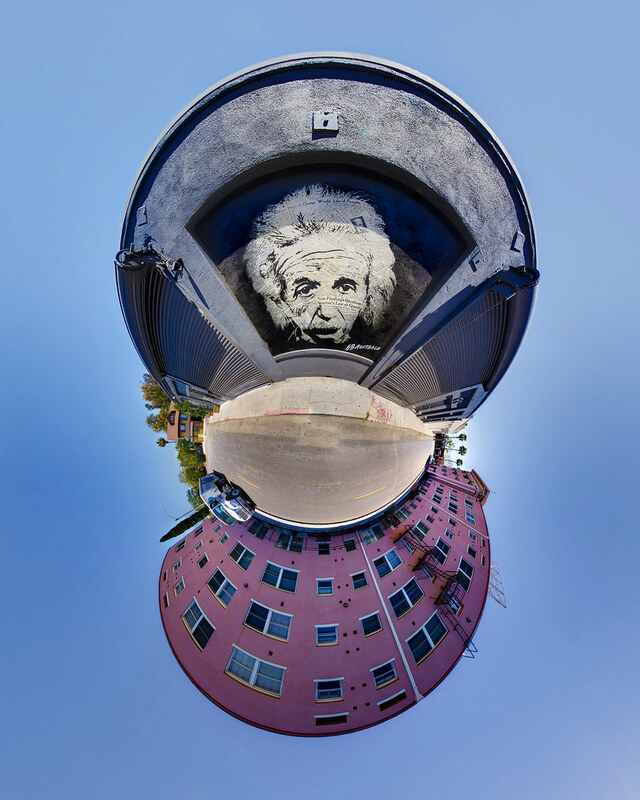 Los Angeles street artist David Choe collaborates with Joe To, and DVS1 with this piece located the alley behind the Denver Center of Performing Arts. Choe is most known for his work at Facebook HQ when in 2007 CEO Mark Zuckerberg commissioned him to paint the company’s office murals. Instead of cash payment, Choe received company stock, His shares were valued at approximately $200 million on the eve of Facebook’s 2012 IPO.